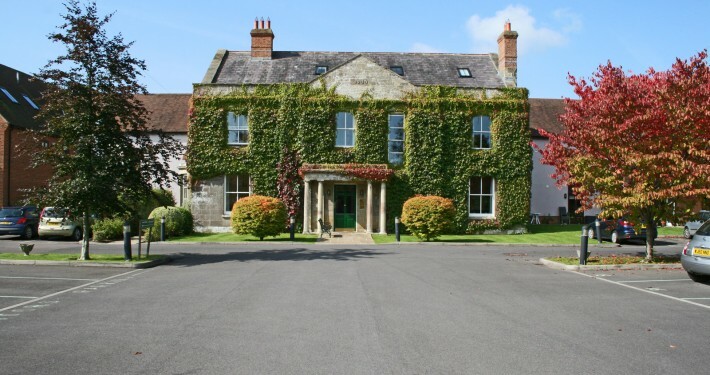 Motcombe Grange is a bespoke and luxury independent retirement development situated in the village of Motcombe near Shaftesbury , Dorset. 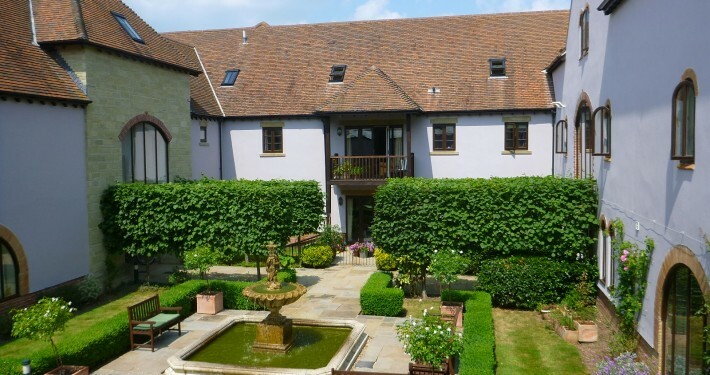 Motcombe Village is situated in the beautiful countryside of North Dorset, between the attractive hill top town of Shaftesbury and Gillingham town which benefits from a main rail link to London Waterloo. Motcombe village benefits from various amenities including a village shop, two churches, village hall and one hotel. Previously a prep school The Grange was redeveloped and extended in 2003 to provide 30 apartments with emergency call facility. In 2003 Nikki Lewis, the co-founder, owned The Malthouse Residential Care Home in Gillingham, Dorset. 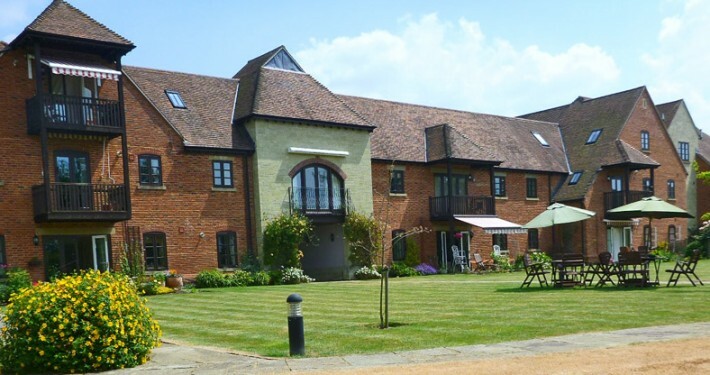 Having successfully added 9 cottages for independent living adjoining the care home she wanted to expand the concept and create a unique development offering independent living where dignity, respect and independence would always be paramount. The grounds extending to 3 acres are beautifully maintained and lead down past a large pond to a country walk making it ideal for dog owners and walkers alike. 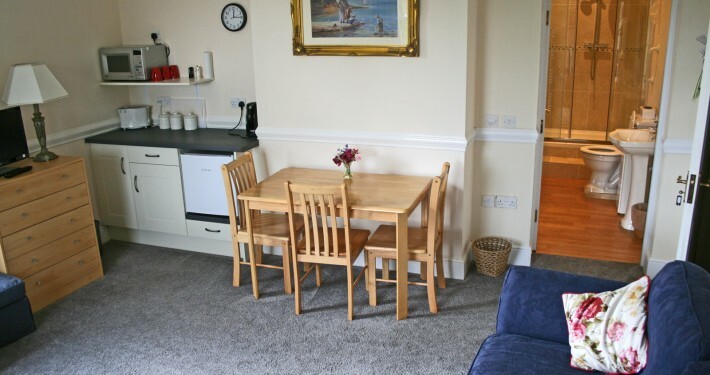 Pets are welcome in the ground floor apartments and by arrangement, depending on suitability, on the first and second floors. 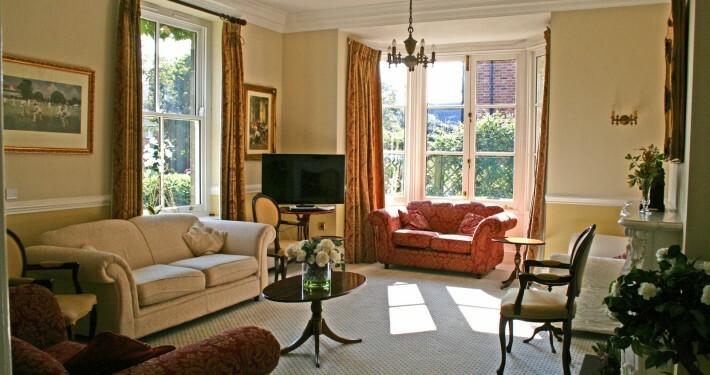 Within The Grange is a gracious dining room, drawing room, bar, library and hairdressing salon. A croquet lawn is located in the grounds of The Grange. The dining room which is open for optional lunches five days a week offers a varied menu to a very high standard and is very well supported by the residents. Bridge, Scrabble, Ballet and film evenings are regular weekly fixtures mostly organised by the residents alongside social lunches, bar evenings and more! We also have communal Physio Sessions every other week. 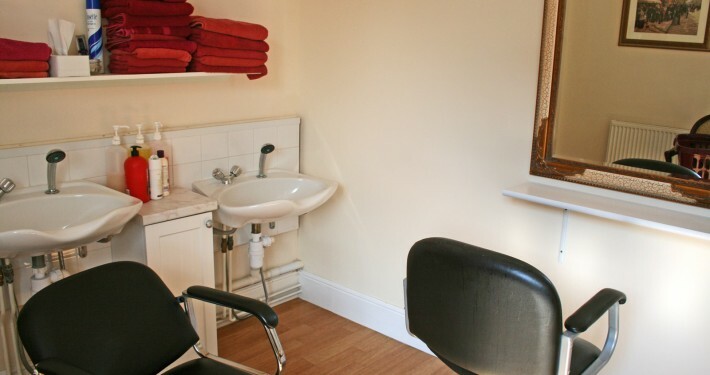 We have a weekly visiting hairdresser and a chiropodist visits every 6 weeks. There is also available a private self employed domestic. The Grange is very social but the joy of your own apartment allows for complete privacy and solitude should you so wish. 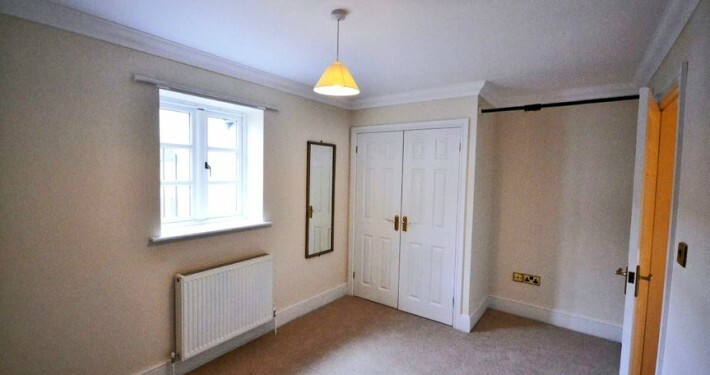 All ground floor apartments have patio doors leading from the sitting room to the gardens. All first floor apartments have balconies. 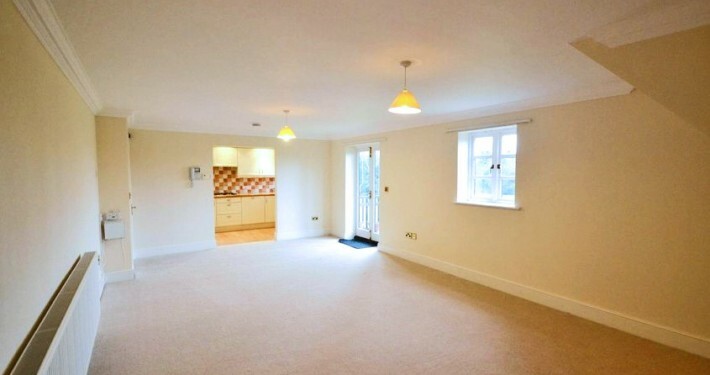 All have two bedrooms except one, very spacious 3 bedroom apartment. Live-in management offers help and advice with a 24-hour emergency response service. The Manager is in the office 9.30- 2 pm Monday – Friday and the live-in Deputy Manager is on duty at all other times. A Residential Relief Manager covers the weekend. All the on duty staff respond to an emergency call and advice on care services is available. 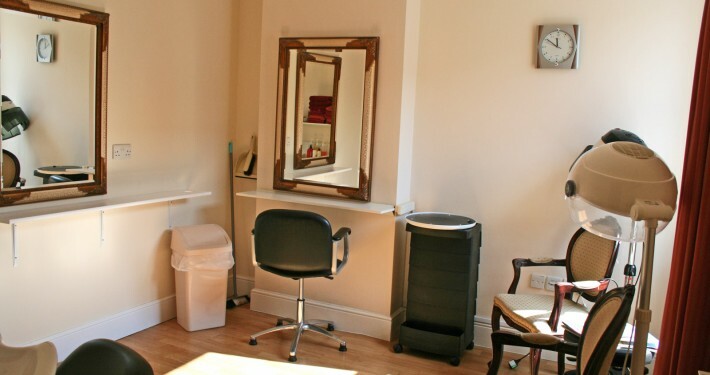 On the first floor there is an elegant guest room with TV and a shower en-suite available for guests visiting their relatives or prospective residents viewing apartments and live a distance away. 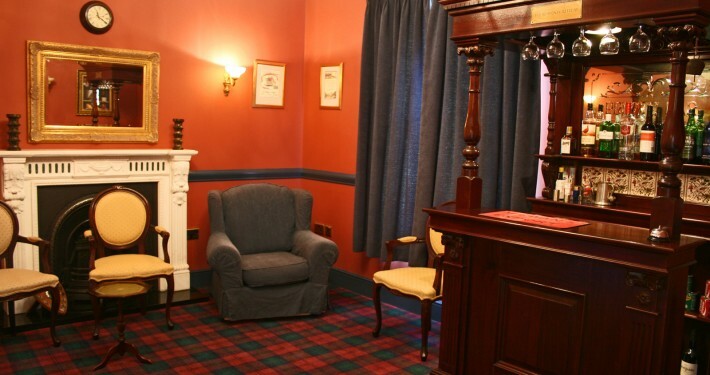 The guest room is also for the relief managers at the weekend so is only available Monday to Thursday nights inclusive. However, on occasion it is possible for the staff to alter their rotas and allow for weekend bookings. 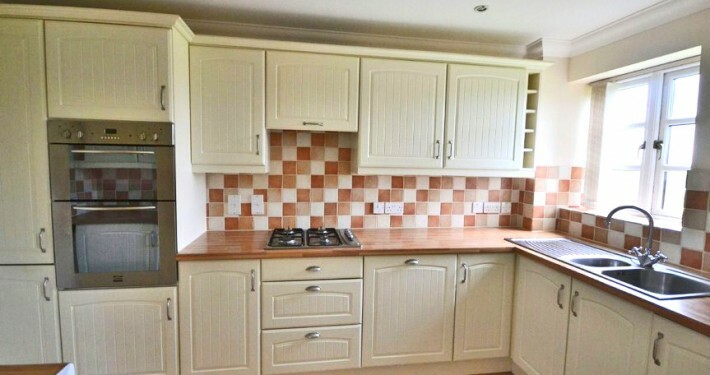 There is a kettle, microwave, toaster and small fridge. 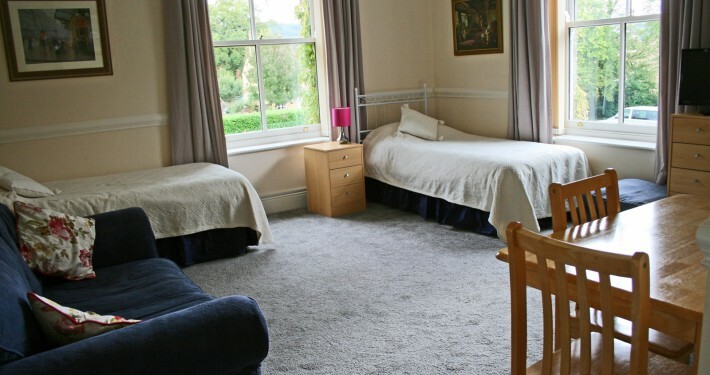 The cost is £20 for the first night and £15 for subsequent nights. Bookings are made with Lucy, the Manager.